Seriously, What is Content Marketing? Sometimes in the realm of online marketing, we can get a little caught up in our own vernacular. In a world where acronyms abound, a person who doesn’t spend all their time working with PPC, SEO, or SMM may latch on to something like content marketing services as an online marketing strategy that sounds more palatable. Before you decide to jump into content marketing with both feet, you need to ask, do you really understand what content marketing is? What if we told you that PPC, SEO, and SMM could all play important roles in your content marketing strategy? Don’t worry, while content marketing isn’t as simple as it may sound; it doesn’t require a Ph.D. to understand. We’ll walk you through what it is, why it’s important, and send you on your way with a few tips to help you get started. There are any number of ways to market your business online, and some will work better for your business than others. Content marketing, if done correctly can be an effective growth strategy for almost any online presence. Once you see how content marketing works, you’ll want to take advantage of its benefits. Content marketing is a form of B2B brand building that involves the development and sharing of quality media and published content in order to attract, engage and retain customers. It can help raise awareness for companies (particularly B2B companies), and differentiate them from competitors by making them the go-to authority for technical help and industry information. In the Search Engine Optimization (SEO) world where content is king, content marketing is the gold standard of SEO practices. Google’s latest algorithm updates have made it clear that producing and publishing audience-focused, relevant content is one of the most important factors in ranking highly in search engine results, and updating content frequently is a guaranteed way to get search engines to crawl your site for new data frequently. Additionally, customers are making it increasingly clear that they want more information to help them make important buying decisions, and less information focused on marketing and sales. Interested in content marketing services? Contact MARION today to get a quote and discuss a unique strategy for your business. Number of likes, +1s, upvotes, etc. In many cases, achieving a higher SERP (another great acronym!) position will contribute to higher amounts of traffic and conversions. SERP positions depend on several factors, but inbound links continue to play a significant role in Google’s algorithm. If Google sees that a lot of other websites are linking to your content, then the search engine assumes that you have reliable information to offer other readers. Creating content that other sites link to or content that gets shared on social media can do wonders for your search engine optimization. Content marketing is also a great way of improving your company’s brand recognition. Traditionally, advertisers believe that it takes about seven interactions before a potential customer recognizes a company’s brand. You can arrange interactions through social media posts, pay-per-click (PPC) advertising and a few other tools. When it comes to educating potential customers about your company’s services and products, though, you need informational content that’s fun to read. While promoting your brand with content marketing, you can also establish yourself as an authority in your industry. When you give your readers in-depth how-to articles, instructional videos, product comparisons and trend forecasts, you show them that your business has an insider’s perspective on the services that they need. Standard advertising alone can’t do that very well. A lot of companies that try to use content marketing fail because they don’t know how to create effective content strategies. Building a good strategy does require some trial and error, but you can follow some basic rules to help your content do its job well. This may seem obvious, but most content marketing strategies that fail, do so at this crucial step in the process. You should expend 75% of your effort on crafting valuable content and 25% on distributing it. Use social media to spread your content (SMM – Social Media Marketing). Social media platforms like Facebook and Twitter have become indispensable tools for content marketers. As companies like Facebook adjust their algorithms to make sure users receive high-quality content instead of “fake news,” you can look forward to well-written articles to get even more attention through social media marketing in the near future. Make search engine optimization (SEO) work for you. Today’s search engine algorithms don’t reward you for keyword stuffing. Using some SEO tricks, however, can help your content reach higher SERP positions. Always write a meta description that’s between 135 and 160 characters; give each page a unique title that includes keywords; and create a sitemap that helps search engines locate your content. A small effort can go a long way when it comes to SEO. Pay for people to find your content (PPC – Pay Per Click). Sure, it’d be great if all you had to do was post great content and people would find it. Unfortunately, the Field of Dreams approach (“if you build it, they will come”) isn’t a reliable approach, at least not at first. With SEO in mind, and enough effort and time, you should be able to generate traffic by creating content. In the meantime, PPC is an excellent way to pay to distribute your content to people who are searching for it. Google Analytics is the most effective free tool for measuring the effectiveness of content. Look for the statistics labeled as “organic traffic” to determine how well your content performs. Knowing what pieces of content do well will make it easier for you to choose topics that interest your readers. You don’t have to abandon other marketing and advertising strategies to use content marketing. In fact, content marketing often works well in coordination with your existing SEO, PPC, and SMM strategies as well as email marketing services. Before you embark on a new campaign, talk to an expert who can help you develop a strategy that will work for you. Before implementing a content marketing strategy, we do a thorough analysis of your company’s target audience. Who are they? What kind of content is most relevant to them? What are they hoping to gain from the content? Where do they look for content? Which social media sites are they on? The foundation of a B2B content marketing strategy is a blog. 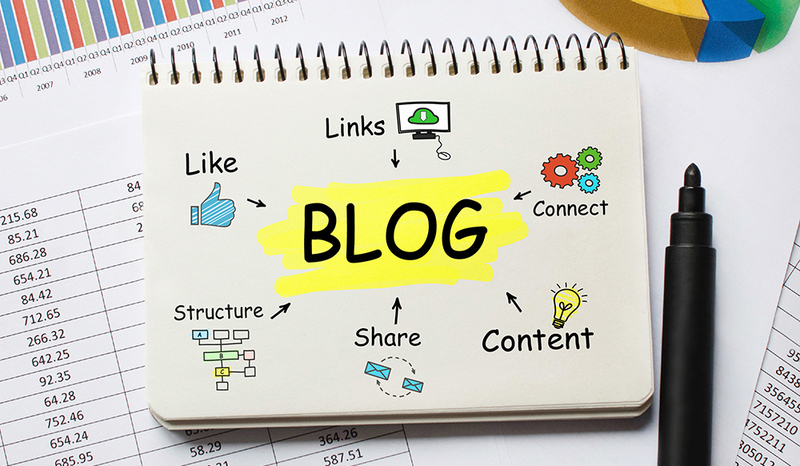 A blog integrated into your website will allow you to engage your audience, and will ultimately lead to more traffic, increased brand exposure, and higher search engine rankings. MARION’s in-house team of expert web designers and developers can transition your company’s website to responsive design, allowing your clients to access your content regardless of the device they’re using. We can then create and integrate a unique blog into your website. Once the blog has been added, our team of experienced content developers and SEO strategists can create one-of-a-kind, audience-focused and relevant content designed to draw in and educate your customers. Social media is at the core of any good content marketing strategy. Social networking sites like Facebook, LinkedIn, Twitter and Google+ allow you to reach new audiences who are poised to engage. MARION has an experienced team of internet marketing and social media specialists who will help amplify your content and build your brand. Once your content has been published to your blog, we increase your exposure by promoting this content on social media sites that are relevant to your audience, and through RSS feeds. Additionally, we will integrate social media profile and share buttons on your blog to encourage social sharing. Why MARION for Content Marketing?